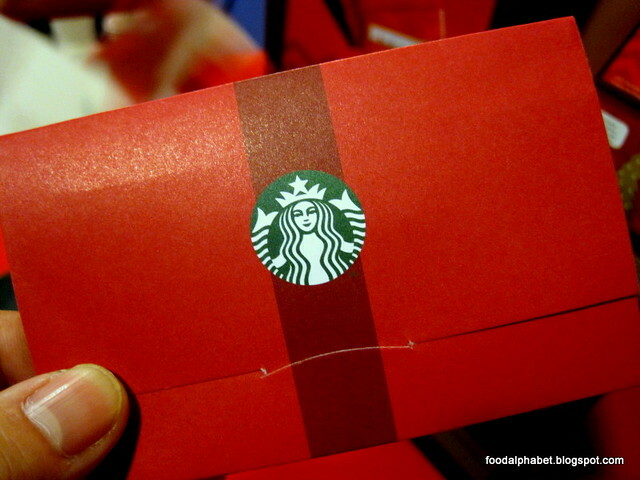 The Food Alphabet and More: Starbucks Card Christmas edition.. perfect for the holidays! Well, just November 2, Starbucks has released their 2014 Starbucks Planner, that comes in 4 colours, with a coffee icon bookmark and lots of freebies! Now would that gift bring a smile to your loved one. But as this would take some time to complete, why not get the next best thing! Comes in 2 great designs! The Golden Christmas tree and the Snowman, available now at all Starbucks stores in the Philippines! As usual to purchase the Starbucks Card, you need to load up P300 which you can use to purchase for anything and everything in the Starbucks store. Comes in 4 very wonderful colors, such as the color featured in their 2014 Starbucks Planner! Available in brown, yellow, magenta and black. But wait here is more good news! 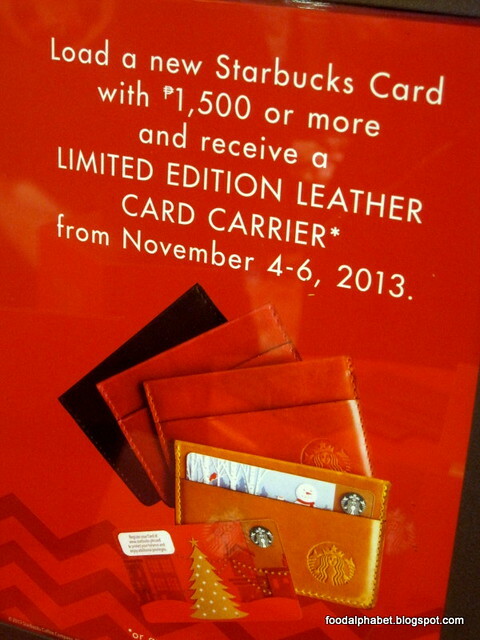 Get your Starbucks Card Christmas edition from November 4 - 6, 2013, load it up with P1,500 and get this limited edition leather card carrier for FREE! And if want to get more but have collected all 4 designs, you can opt to have P300 loaded to your Starbucks card in exchange for the leather card carrier. 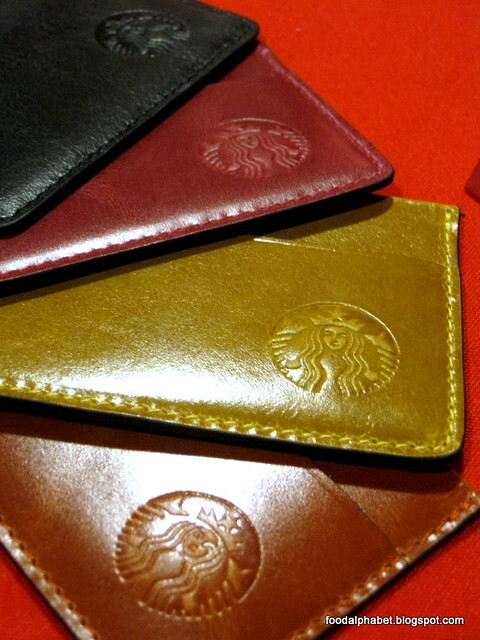 More than just a leather card carrier for your Starbucks card, you can put your credit cards as well as some cash, it's the perfect gift! 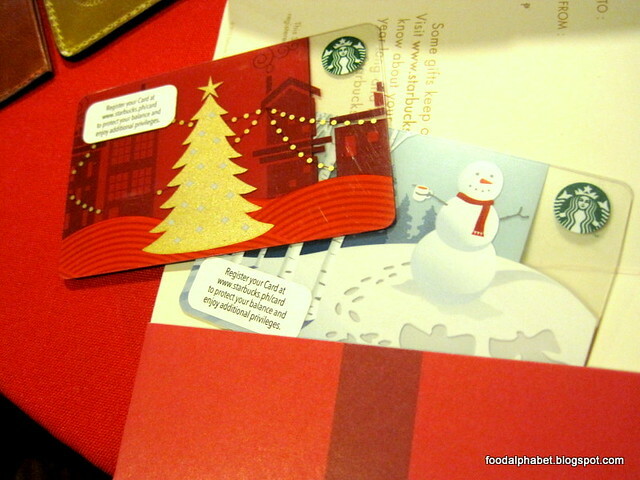 So be sure to grab a hold of this giveaway and get to have this FREE Starbucks Card limited edition leather card carrier when you get the Christmas edition Starbucks Card only from November 4 - 6, 2013. Advance Merry Christmas to everyone! Get yourself the Starbucks Planner 2014 edition as well as the Starbucks Card Christmas edition.